U.S. President Barack Obama issued an executive order on Friday, placing new sanctions against North Korea related to its government's believed involvement in an act of cyberterrorism that targeted Sony Pictures Entertainment. Calling North Korea's cyberattacks "provocative, destabilizing, and repressive," the White House authorized the Secretary of the Treasury to impose sanctions on individuals and entities affiliated with the country's government. Regarding the attack on Sony, the Obama administration called the North Korean government "destructive and coercive." "We take seriously North Korea's attack that aimed to create destructive financial effects on a U.S. company and to threaten artists and other individuals with the goal of restricting their right to free expression," the White House said in a statement. The steps taken on Friday were said to be just the "first measure" of the U.S. government's response. Obama has pledged to make a response that is proportional to the crippling attack on Sony, which came about because of the North Korean government's apparent unhappiness with the content of its new film "The Interview." In an unprecedented move, Sony opted to release the film both in theaters and through digital services on Christmas Day. It took a few extra days for the film to end up on iTunes, but as of Friday the comedy is still the top selling movie on Apple's iTunes Store. 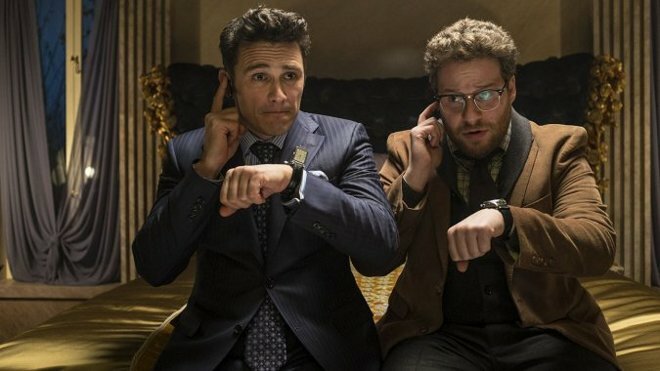 Available to rent for $5.99 and purchase for $14.99, "The Interview" depicts actors Seth Rogen and James Franco as journalists instructed to assassinate Kim Jong-Un, the leader of North Korea. Offended by the premise of the movie, hackers said to be from North Korea compromised Sony Pictures Entertainment and threatened to attack theaters that played the film. Sony eventually opted for a simultaneous digital release —a rare move in Hollywood— after major theater chains announced they would not be showing the movie on its opening day of Christmas. Smaller and independent theaters did end up debuting the movie on Dec. 25, and no incidents occurred.